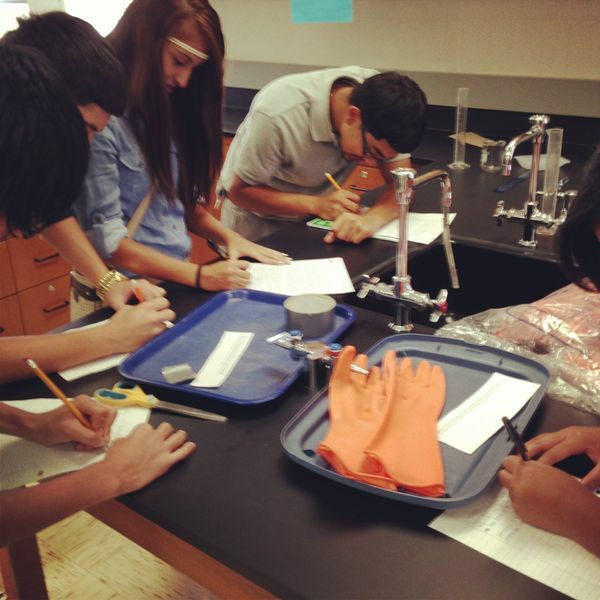 Forensics students were figuring out if the evidence at each station was individual or class evidence. The students entertained the questions I had about their activity and I was able to figure out from their answers that class evidence is something like fiber, where, for example, all polyester fiber has the same chemical characteristics. Individual evidence means the characteristics can be traced back to a single person (DNA for example). Another great thing was that the teacher didn't even know I was in the room for a few minutes because he was moving around and helping out all the groups. That is one sign of a good classroom.